Friday morning I woke up startled. Something was wrong – or actually something was very right. Emma had stayed in her room all night long and slept through the whole entire night! This past week has been one of the hardest times that Emma has ever gone through. Over the years, she’s had a few weeks of no sleep, but this was something different. I never really figured out why for sure, that she began waking up in the middle of the night engaging in a slew of odd, compulsive behaviors. She might fall asleep, but was up an hour later roaming from room to room pulling sheets and blankets off beds and taking clothes out of her closet and pulling drawers out. She spent a few nights screaming so loudly I’m surprised the cops didn’t come calling. All night we would have to take turns containing her in her room. We would hold her until she was very still, but inevitably she would pop up and fly out of bed again. We couldn’t send her to school because she was screaming and scratching herself. Exhausted in the daytime, her body was covered in bruises and cuts from meltdowns. We had an idea that it could have been a few different things – a withdrawal from a medication that we’d stopped recently, the drama surrounding our upcoming move, or maybe even something as simple as hormones. I don’t know that we’ll ever know for sure. During this week, I had moments of terror where I thought, “What if this doesn’t end?”. I tried to stay calm by reminding myself that we’ve gone through phases before, but like I said, this was so different. Yes, we had been through tough times before. But I was just beside myself. And exhausted! What was happening to my girl!? I put a message out there and asked everyone to pray. What else could be done, really? And you all prayed. Some nights I would hold her and do nothing but pray as I lay in bed with her. We had even taken her to the ER at UCLA. Even the strong sedative they gave her didn’t stop the compulsive night-time behaviors. I got really scared when we bombarded her one night with sleep aids and she still woke – tired albeit – but very much awake and in a frenzy!! We sat on the couch the day after another sleepless night. How could she stay so positive? It was just mind-blowing to me, but not surprising really. She always seems so calm inside despite chaos on the outside. I felt so helpless to do anything about it. 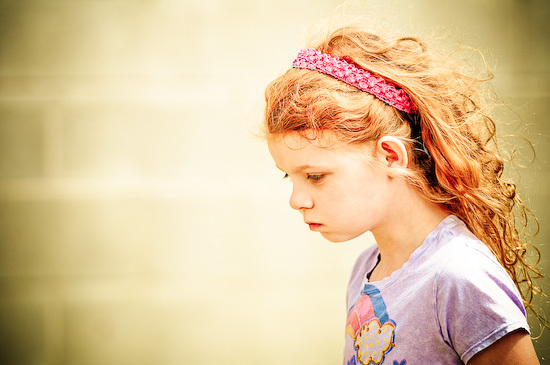 It felt like no one could help her and I was quickly discovering that many doctors, psychiatrist and even developmental pediatricians don’t feel comfortable taking on or treating children with severe autism. They keep telling me that we need to see someone who specializes more in kids like Emma. Where are those people?? It’s all been very frustrating. What if something was very wrong with her? Who can help her?! Where were the answers that we desperately needed!? After about the fifth night or so, we sat on the couch Skyping with mom. Emma reached out to the ipad. I couldn’t see how she could possibly feel “rested”. I could barely keep my eyes open! I looked at the deep circles under her eyes and her bruised up legs. I guess she did seem pretty calm. She should, I thought, with all the prescribed medication and stuff I’d been giving her at night to try to knock her out. How it didn’t is a complete mystery! I could feel my tired eyes burn with a fresh tear at this. Mom and I shook our heads and beamed with delight at her words. Me: “Oh, Emma. That’s so beautiful. Very powerful. Where do you come up with this stuff?” I had to laugh. Emma has taught me so many things about patience and trust. I feel like her life is the perfect picture of reliance on God to bring us through anything. When I look at her, it’s easy to see His love and to see the inner peace and strength that trust can bring. It really was all she seemed to need. That night Emma laid down to bed and never came out of her room. She slept through the whole night, it would seem, without a stir. The morning had come and we had all slept through the night! I was flooded with relief and joy. Of course, we had slept with one eye open, half asleep – half awake. She slid into our bed in the morning with a beautiful smile on her face and eyes that were not tired, but wide awake. Emma continues to testify of God’s grace, His goodness, His Love, and His answer to prayer. We’ve been praying for you all. Emma is an inspiration. Actually you all are. We can’t appreciate that until we experience our own bouts with sleeplessness. Every concern in the world is magnified in those small hours of fatigue. Our thoughts become distorted, our imaginations turn dark. It is as if we leave the shelter of our bodies, our selves seeking out ourselves. Prayer, that smooth balm, that simple tonic, goes straight to the heart of the trouble. Whatever anxiety was there can be given over. Prayer helps us to get out of God’s way. Emma, you are safe, always, in the eye of the Beloved. Emma always inspires me and renews my faith. I’m Muslim, but God is God no matter what you believe about Him. Thank you Emma and Sabra for sharing these special moments with us. Thank you so much for your beautiful words, Emma! Emma inspires me so much in my faith, too. There really is something so liberating about relying on God. It feels like something we were truly created to do. Beautiful passage from the Qur’an! I agree, it is hugely liberating to put it all in Gods hands. It really does feel like our true nature doesn’t it? There is nothing complicated about it, it just is. I love being able to share that feeling across faith lines as well, that too, is liberating.